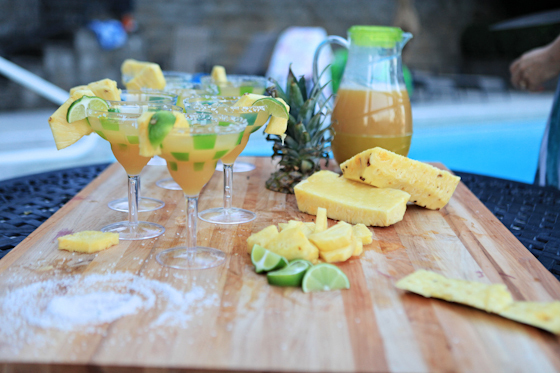 Friends, is there anything happier than a fruity drink by the pool in the summertime? 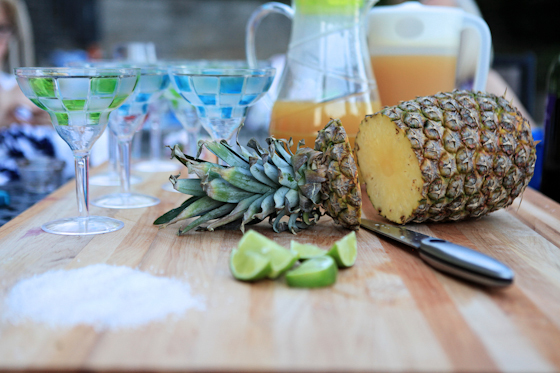 If that fruity drink is made with all real fruit juices and freshly squeezed limes, and it is served in a bright cup with fresh fruit on the side, well, then I’ll be having seconds. 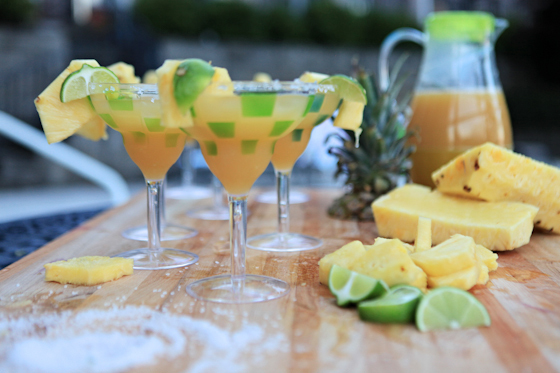 You can mix together this pitcher of Orange Pineapple Margaritas ahead of time and then prep them poolside with your food and a pile of salt. 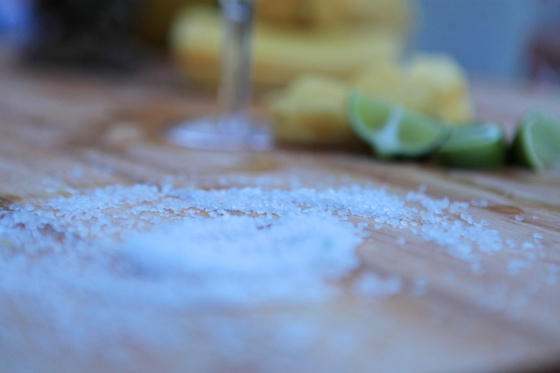 Wipe the glass rims with pineapple or lime wedges, so the salt will stick. Twist the rims into salt. 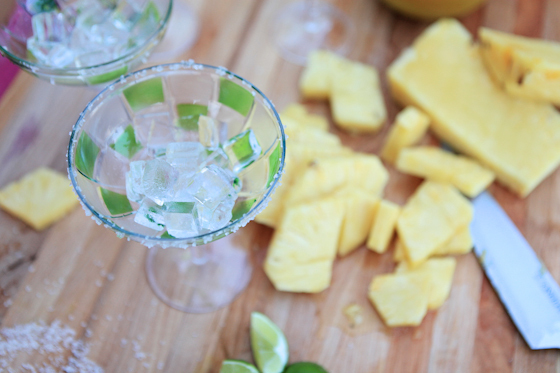 Fill your cups with ice. 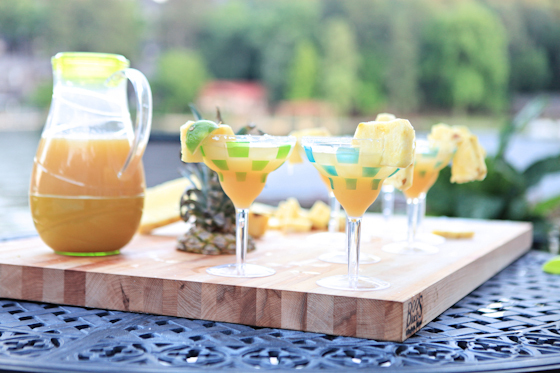 Pour the drinks and watch the fading sunlight make shadows on your sweet friends’ smiles as they taste the yummy. 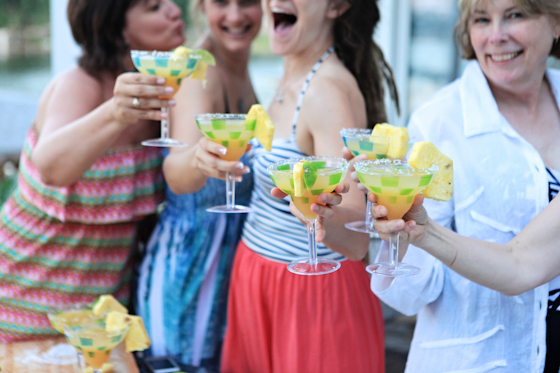 Here’s to summer and sunshine! 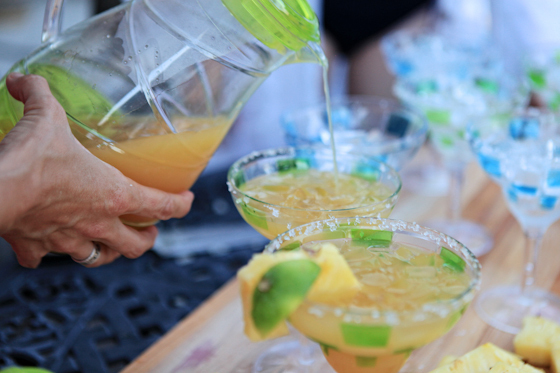 Recipe for a pitcher of yummy fruity-licious margaritas below. 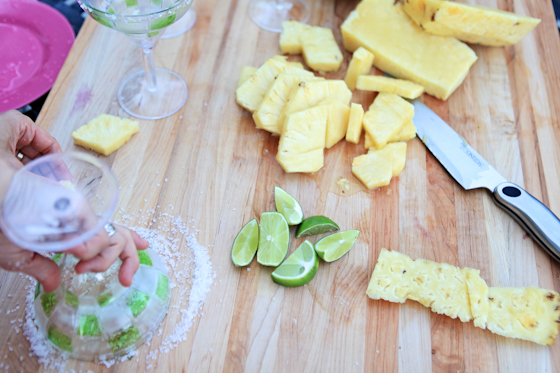 Mix ingredients together in a pitcher and chill until serving time. *I keep a mason jar of simple syrup in the fridge for cocktails. It is just one part sugar and one part water, simmered until sugar has dissolved. I often use brown sugar or maple syrup for the sugar if I want the drink to have a richer flavor. For this recipe I used brown sugar simple syrup. PS All of these GORGEOUS margarita photos were taken by the VERY TALENTED Whitney Loibner, which is sadly why she is not pictured in any of them. 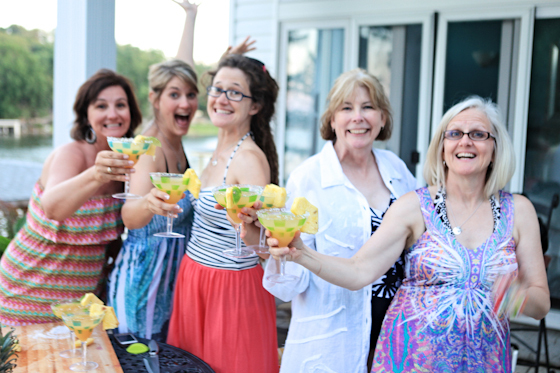 However, I promise you that she enjoyed her margarita just as much as the rest of us! Did you enjoy this post ? Maybe you’d like to subscribe to the Chino House via RSS feed or by email. More recipes here. We made these tonight. Yum!! !